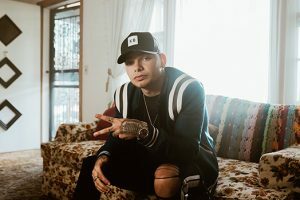 Kane Brown’s ‘Good As You’ music video pays tribute to the amazing women in his life, with the help of ‘This Is Us’ star Lonnie Chavis. We have some unseen pics from the video shoot! Kane is always open with his fans about the hardships he faced growing up biracial in the south, where he and his single mother struggled with homelessness. “As I got to school and started getting older, I realized [how hard she struggled to make our lives good]. That’s when everything hit me. To me, that’s when I became a man,” Brown told The Boot. “I realized everything my mom had done for me: Anything we didn’t have, she made sure we had. It really changed and matured me, having a mom like that, and that’s what really made me want to get to this platform and help other people.” He and his mom, when they weren’t living in their car or on their friends couches, they lived with his grandma, who was the town sheriff. “The opening line, ’I see the way you’re taking care of your mama, the way you’re taking care of me.’ That was my Mom taking care of Nana and me and my Nana taking care of my MeMaw and me,” Kane revealed in another interview with Taste Of Country about “Good As You.” Make sure to look through the gallery to see the unseen pics of the “Good As You” music video! BTS’ ‘Love Yourself’ World Tour Concert Film is Headed to Theaters!